It has been over a year since Ilise and I sponsored Armstrong to come to the United States to obtain a commercial pilots license. If you don’t know much about Armstrong you can learn more here. Armstrong has worked extremely hard since coming to the US and is well on his way to completing his dream. He has over 150 hours of flight time (he needs at least 190 hours to complete his certification), has obtained his private pilots license and has started his instrument rating. His instrument rating allows him to fly in any weather conditions and is one of the most critical steps in Armstrong’s journey to obtaining his FAA commercial license. He has had numerous challenges along this journey, but our current challenge is raising more money for him to complete his training. Armstrong has had a profound effect on my life, teaching me what struggle really means. I have been doing so much soul searching over the past few years and continue to have distinctions between first world problems and 3rd world problems. Armstrong has been my greatest teacher in this area. All of my first world problems pale in comparison to what he has endured in his life. In addition, the young man is so smart, but as the 9th of 10 kids born to a migrant farming family in Uganda he could never achieve his dream without support from people like us. I can’t tell you how many conversations we have had about so many different topics and he is always thinking. 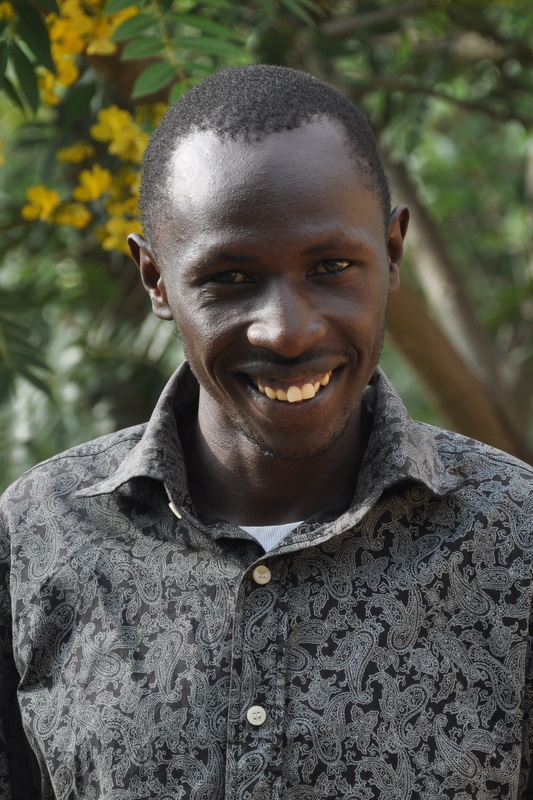 He is determined to change his own life and then the lives of his countrymen back home. We went into this with the best of intentions, but this has been harder than we ever imagined. 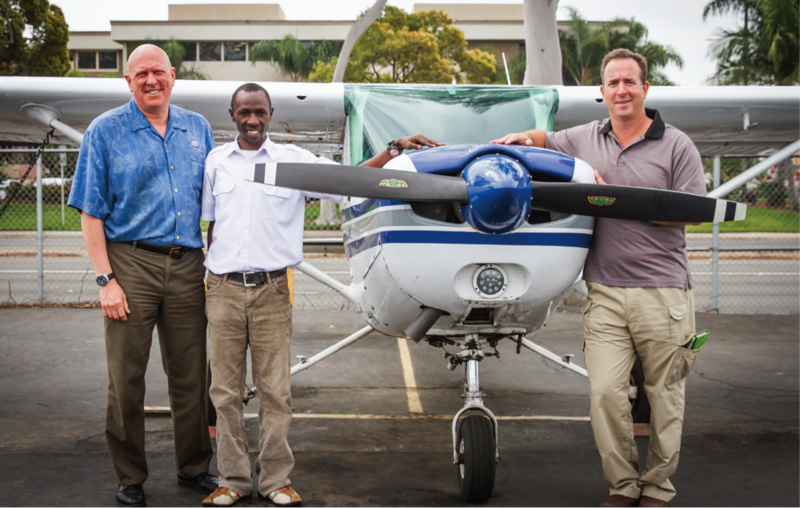 Armstrong w/ Phil Thalheimer (owner of SD Flight Training Int’l) and me. Before we started this global journey we had a decision to make regarding Armstrong and our family trip. Since I was shutting down 4-Profit, and no longer going to have ongoing income, we could not afford the trip and to fund his training. We discussed this with Armstrong and our family and Armstrong told us that we needed to go. From the outset we planned to raise the funds to pay for Armstrong’s training. To date we have only been able to raise a bit over $15,000, that we are very thankful for. We have personally invested over $30,000 of our own funds, and that is all we can do for him at this point. Armstrong is so thankful for all we have done for him, but we still need more funds. We have been pursuing other methods to help Armstrong complete his training and the flight school has been generous with some flight time and instructor time. But, we still need help to raise another $25,000 for Armstrong to complete his training. We’ve been told by so many donors that they would rather invest in a group of kids rather than one person. The average person in Armstrong’s community earns about $250/month. With this training Armstrong can earn 20 times that amount, or somewhere around $5,000/month. Armstrong plans to take the extra funds and invest them back in his community. Once he completes his training he will return to Uganda to effect change, hopefully start an aviation business and employ his fellow Ugandans. You can watch this video to learn more about what Armstrong plans to do with his training when he returns home. If you or anyone you know can assist in obtaining funds or support his flight training that would be very helpful. Your support and/or introductions will make all the difference in helping Armstrong achieve his dream.